Zubuchon comes from the 2 word ZUBU, which comes from an island in Cebu named from the 16th century maps ZUBU and CHON, meaning stuffed or roasted pig. 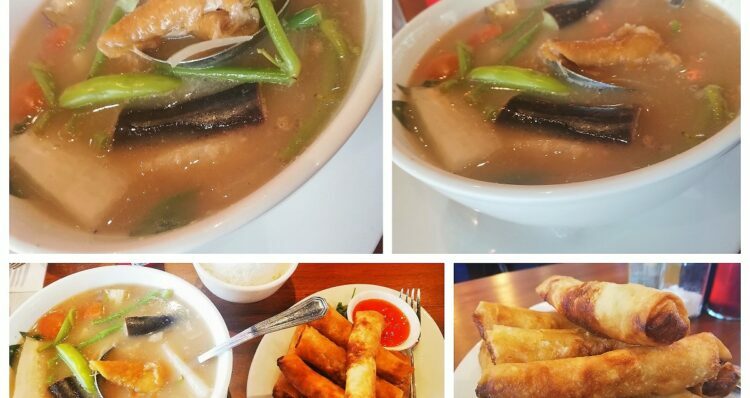 The restaurant currently has 15 branches, 6 in Metro Manila and 9 in Cebu. They have constantly searched out neighborhood fixings at whatever point conceivable, for example, regular ocean salt, local coconut vinegar, crisply crushed coconut drain, millet, rice, fish and lawn raised pigs. They don’t utilize any additional MSG, sustenance shading or compound additives in their food. 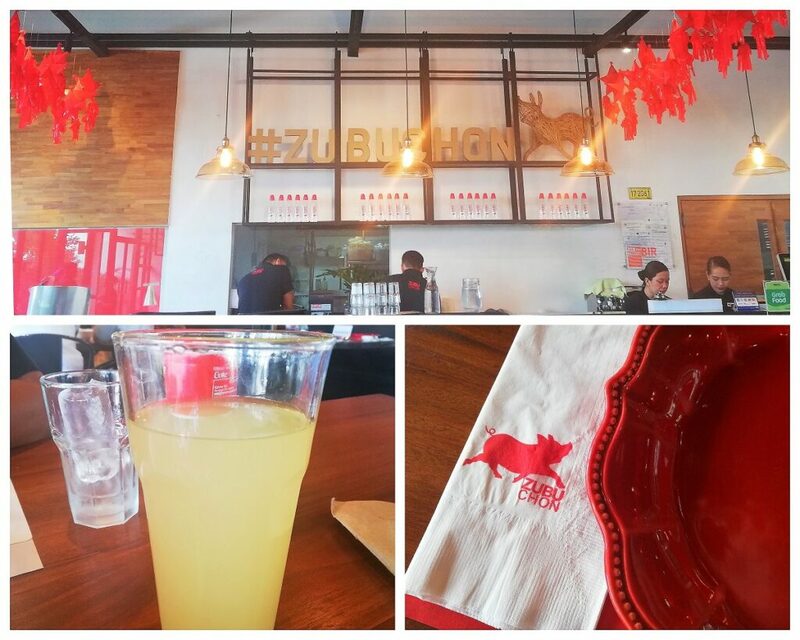 Ever since the late, Anthony Bourdain visited Cebu in 2009, he managed to popularized this restaurant because of his precious comment “THE BEST PIG!” and flocks of customers especially tourists became interested into trying Lechon in Zubuchon. Yesterday, we are heading to an errand in Makati and came across this RED restaurant from the outside where we parked our car near the Makati Postal Office. It was 12:30 in the afternoon at that time and the restaurant are all almost full of diners. 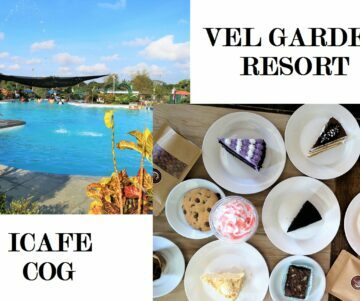 The restaurant also sells Cebu delicacies. 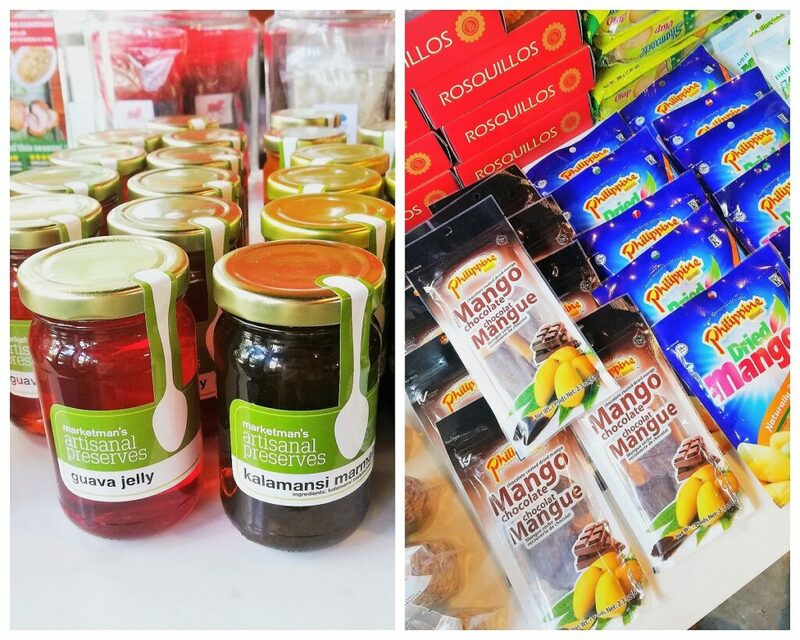 Cebu is known for Mango delicacies. They also sell Chicharon from 125 PHP to 165 PHP per pack. We are familiar with the Cebu restaurant and we ordered a not so ordinary LECHON dish. 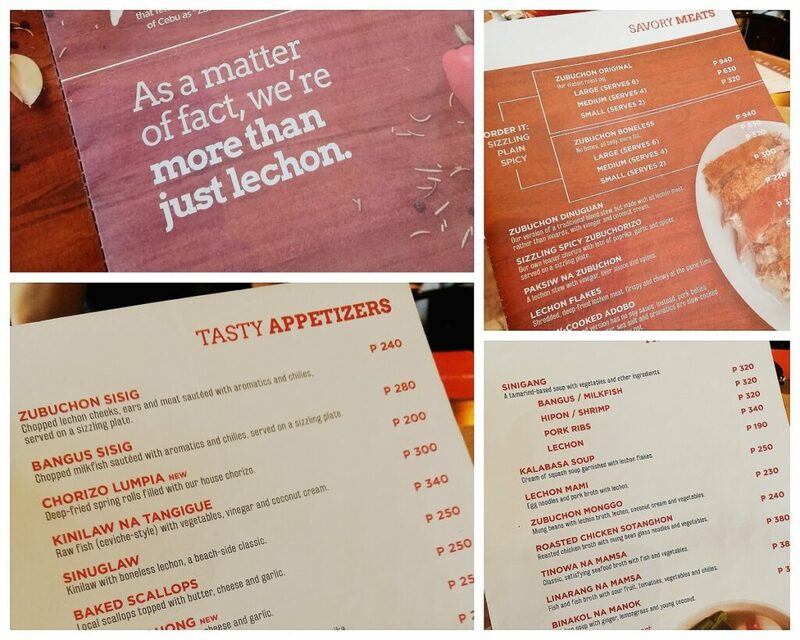 Here in ZUBUCHON they offer different varieties of LECHON DISH. Lechon Sinigang for 320 PHP. 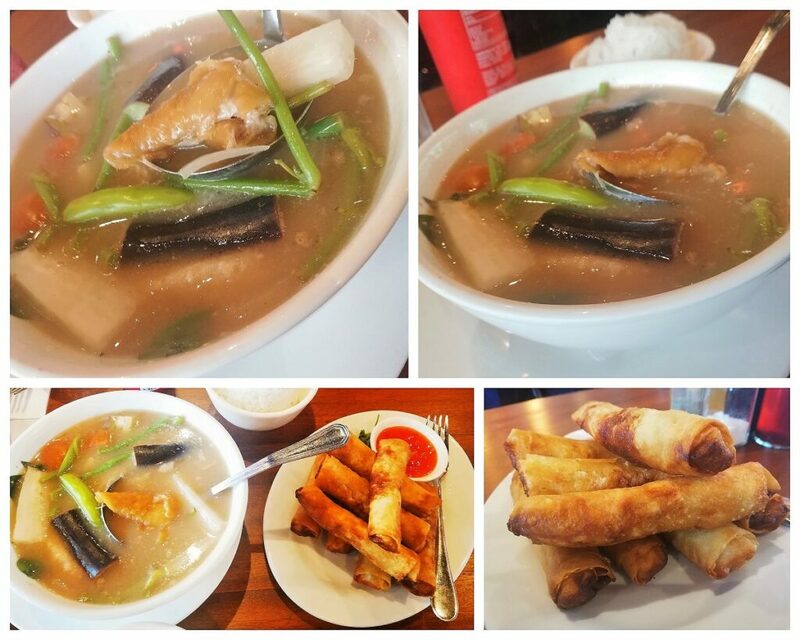 Taste 4/5 – Super sour broth and the Lechon meat is soft and tasty. For sharing 2-3 pax. Chorizo Lumpia for 200 PHP. Taste 3/5 – This is a nice PULUTAN and/or appetizer. Good serving for 2-3 person for sharing. We also ordered 2 plain rice, 1 regular Coke and 1 hot Calamsi with Honey fresh juice. Our total bill is around 850 PHP – not bad though. And we’re able to take out some leftover Sinigang and Lumpia. 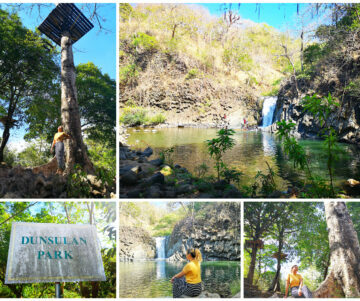 On our next visit, we will try their Lechon Sisig, Kinilaw na Tanigue, and Baked Scallops. LOVE LECHON? THEN VISIT ZUBUCHON!